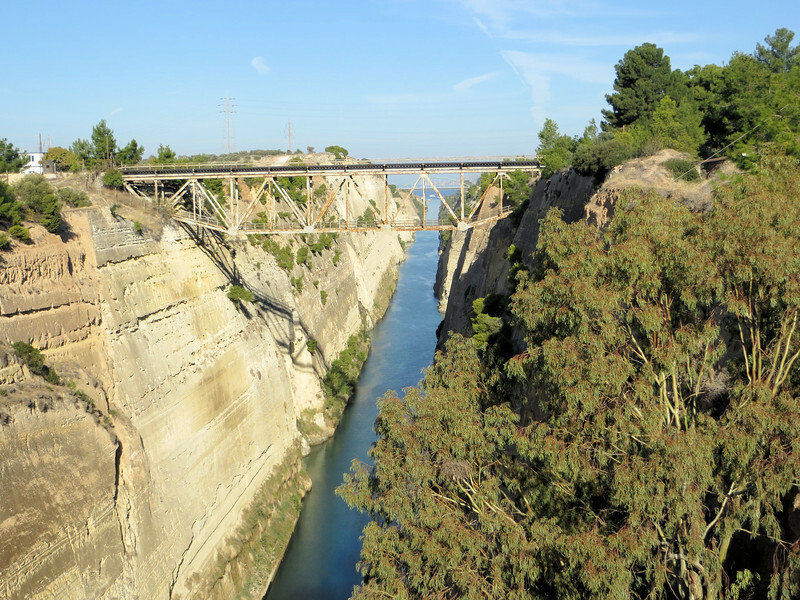 On the way to Corinth we stopped at the Corinth Canal. It connects the Gulf of Corinth with the Aegean Sea. It's 4 miles long and about 70 feet wide at the bottom. Modern freighters can't use it. I am not sure what economic significance it has now, although apparently there are boats that will take tourists through. I admit that I didn't enjoy visiting this curiosity. High bridges make me nervous and the surrounding area was full of tacky souvenir stands and many beggars.